The latest Samsung Galaxy J4 update being rolled out today brings the security patch for the month of January 2019. Samsung has released the latest patch for a couple of devices so far. It detailed the contents of this security maintenance release a week ago. The update is being rolled out in Peru, Bolivia, Panama, Brazil, Colombia and Chile. It will eventually make its way to other markets as well where the Galaxy J4 is available. 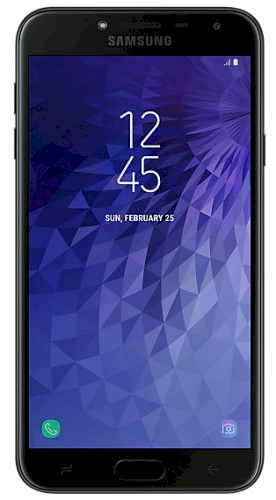 The Galaxy J4 was launched in May last year. It comes with a 5.5-inch HD Super AMOLED 16:9 aspect ratio display. There’s an Exynos 7570 chip with 2GB of RAM and 16GB of storage. It also has a 13-megapixel rear and 5-megapixel front camera. It was launched for just under $150. This Samsung Galaxy J4 update with firmware version J400MUBU2ARL3 is now being rolled out in the aforementioned markets. It’s also available for download from our firmware section. The January 2019 security patch has fixes for three critical vulnerabilities aside from several high-risk vulnerabilities. It also patches four vulnerabilities that were discovered in Samsung’s own software. Samsung will surely be rolling out this firmware update for the Galaxy J4 in additional markets shortly. The firmware file can be downloaded in the meantime from our database using the link provided above. Lockscreen stories are good for me to relax and pass time.